An astonishing construction is welcoming the luxury homebuyers in Noida to join its wonderful range of elegant apartments. 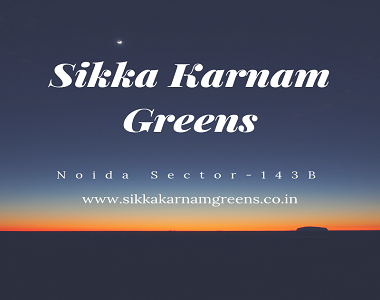 The development named as Sikka Karnam Greens in Noida is designed by the famous international architect Woods Bagot who with his remarkable conceptual works and unique designs add new life and charm to several projects across the globe. One thing is definite here that you can experience here a greenish living as the development is very rich in providing green living facilities. For senior citizens, there are comfortable sit-out zones here in the garden areas where they can relax while feeling fatigue during their walkways. The entrance lobby of this development has unique and pleasant water elements and colorful water bodies which are surrounded by different types of plantation and flowers. For interested homebuyers, there are different options available here in the quality housing segment and one can select here from the 1, 2, 3 and 4 BHK configurations. Their sizes vary from 590 sq. ft. to 1920 sq. ft. These are value and quality homes and are in easy reach of every range of homebuyers. The total land area of this development is 10-acres and there are plenty of entertainment zones and garden/pool party and terrace party venues in Sikka Karnam Greens Noida. These smart homes come with several unique features and top-notch specifications. Their gorgeous interiors include elegant floorings, superb finishing, premium furnishing, world-class plastic emulsion paints on the great walls, premium sanitary wares, branded copper wires, and electrical modules have been used here in the electrical fittings etc. There are stylish bedrooms here are well-furnished with premium features and modular kitchens have wooden cabinets, water purifier, dishwasher, and many other useful provisions and other top features. For ventilation in these homes, there are spacious balconies and large-sized windows having transparent glasses with mosquito mesh provision. These also outsources the magnificent view of garden areas and play areas. 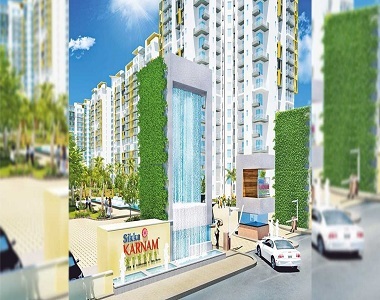 The landmark at which Sikka Karnam Greens Sector 143B situated is very smoothly accessible from many renowned landmarks and important destinations. There are many top schools, hospitals, restaurants, cinema halls, shopping complexes, departmental stores etc. around this project. The development is well-connected to the airport, major railway stations and other major sources of transportation in the city. There are multi-facilitated and fully-equipped clubhouse here, video security, swimming pool, constant water supply, power backup, banquet hall, landscaped garden etc.